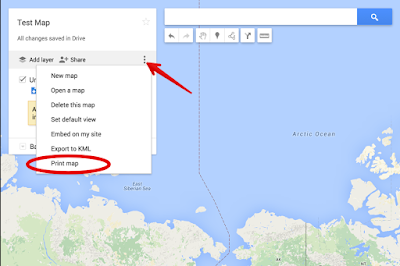 Google My Maps is a powerful tool for creating and editing maps to use with students in class. Besides its integration with Google Drive, My Maps offers a wide variety of interesting features that make map creation a simple task with no major learning curve. Check out these resources to learn more about how to go about setting up your first map using My Maps. In the left panel, click the map menu button . Or, if the map is view-only, click the share icon . PDF: Creates a PDF file, which you can download to your computer.